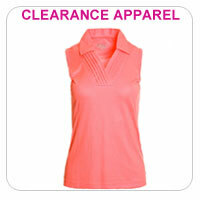 Browse through our extensive selection of ladies golf apparel from the leading golf apparel manufacturers. 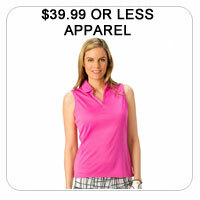 Get your women's golf outfits from manufacturers like Adidas, Cutter & Buck, EP Pro, Nancy Lopez, Nike, Jamie Sadock, Tail Activewear, Sport Haley, Bette & Court , Greg Norman Women's golf and many more will have you decked out in the best golf fashions money can buy. 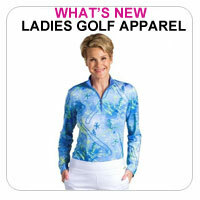 Create a variety of women's golf outfits with our selection of ladies' golf shirts, golf skorts, pants, sweaters, vests, shorts in many colors, sizes and designs.